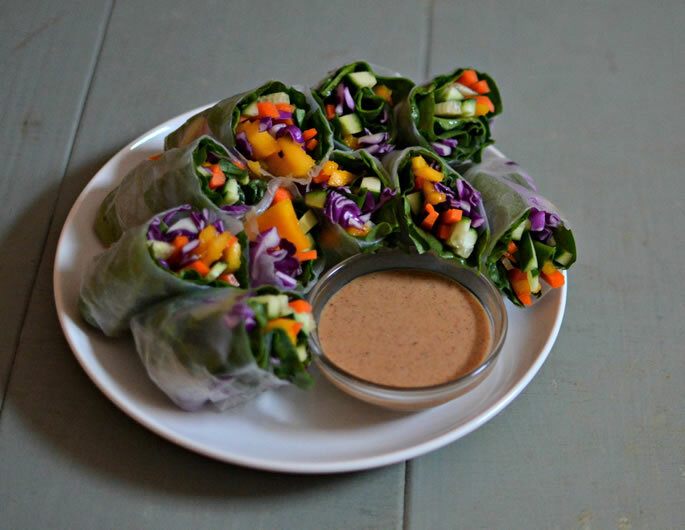 This works well as a salad dressing, or a dipping sauce for rice-paper rolls, chicken tenders, or lettuce wraps. 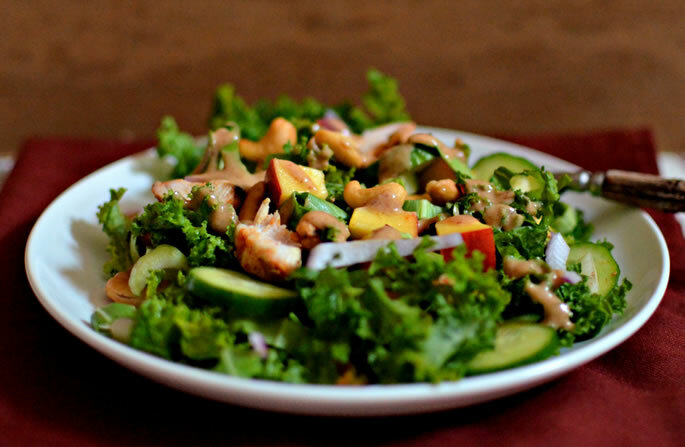 I've used it with this kale salad and these summer rolls. Place all the ingredients into a food processor or blender, and blend until smooth. Refrigerate for up to two weeks in an airtight container. If the dressing thickens too much in the fridge, thin is out with a little water before using. Note: If you’re using an exceptionally high-powered blender, you don’t need to slice the ginger and garlic first. Most blenders aren’t able to deal with them whole, but can successfully incorporate them after they have been sliced/crushed.